A couple of weeks ago I was walking back from a local site when I spotted some ivy in flower. 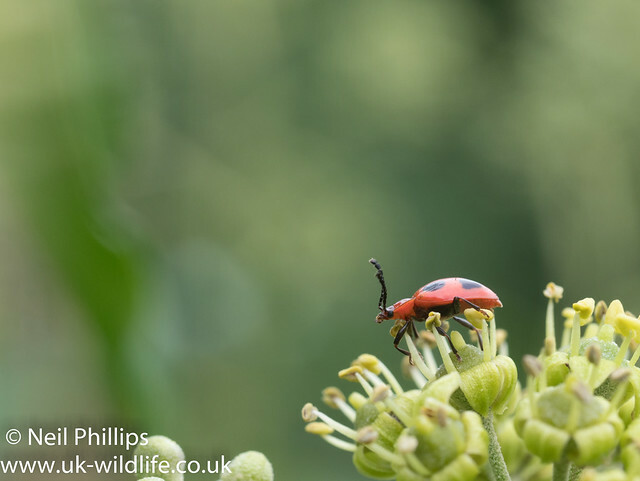 In September, Ivy Hedera helix is an important flower for many pollinating insects as it is one of the few sources of pollen and nectar around in autumn. 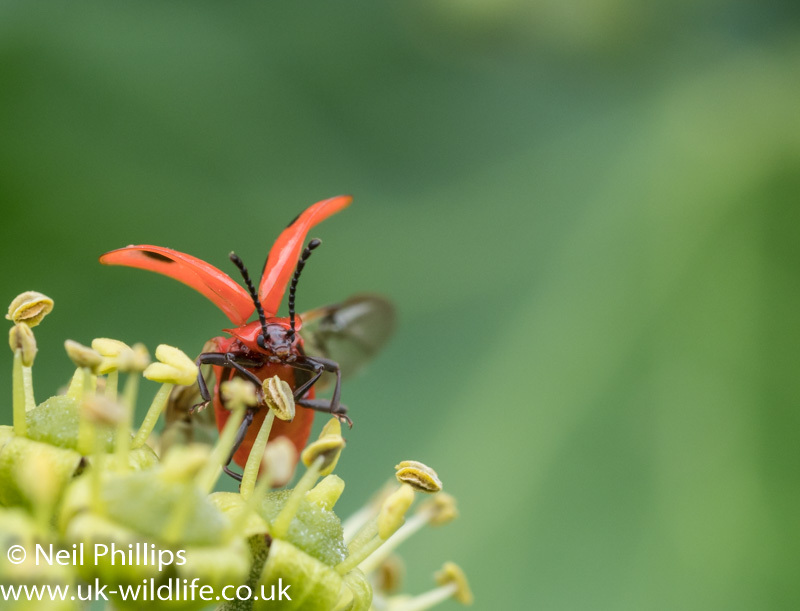 I was looking for Ivy Bees, but I spotted out of the corner of my eye a red ‘ladybird’, but something didn’t look right. 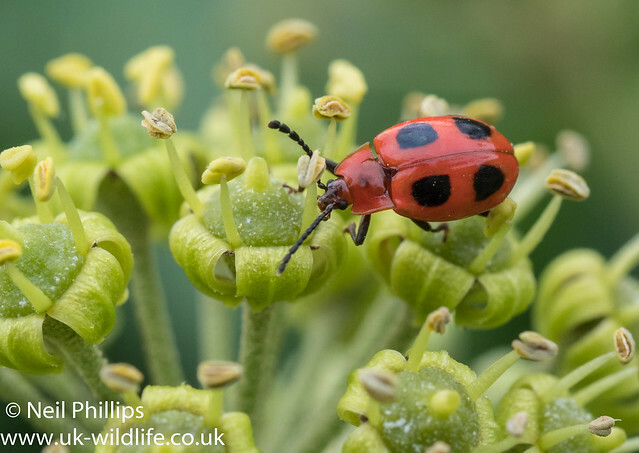 On close inspection I could see the shape was not right and I figured it must be a false ladybird beetle, a species I knew of, but had never seen in the flesh. 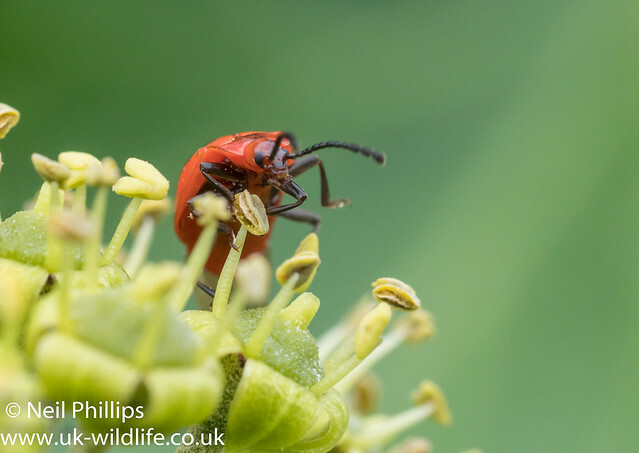 A quick check of my books when I got home and confirmation of no similar species with experts on twitter and I had my first confirmed False Ladybird Beetle Endomychus coccineus. 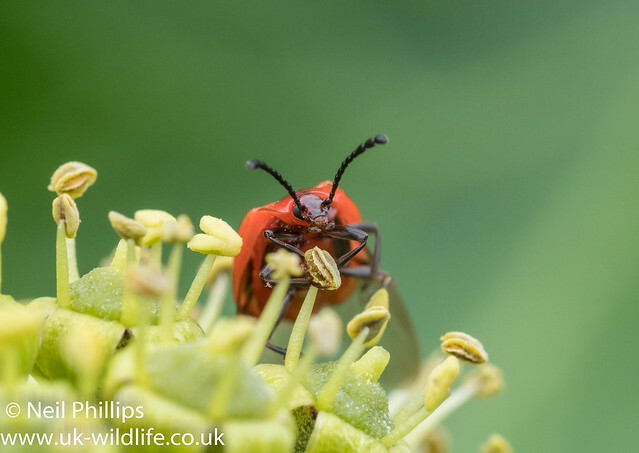 Despite their initial similarity to ladybirds they are not particularly closely related, and actually belong to the rather charming and accurately named ‘handsome fungus beetles’ (Endomychidae). They are usually found around fungi, on which the adults and larvae feed. Adults can be found all year round and are usually nocturnal. What mine was doing on a Ivy flower in the middle of the day I’m not sure. Perhaps they also feed on pollen at times? Interestingly this species has been shown to be an important dispersing the spores of wood inhabiting fungi, which means they play an important role in decomposition in a woodland ecosystem.